Around the fall of each year, where to get flu shots in Charlotte becomes a question on the front of many people's mind. It's no coincidence that flu season spans almost the entire school year, from October until April or May. There's plenty of debate when it comes to getting the flu shot (as in, are there any other associated dangers, or does it actually cause the flu), but most healthcare providers and physicians strongly recommend getting the vaccine, even for young kids. The potential problems that could come with getting the flu could be much worse than any other consequences. If you choose to vaccinate against the flu, remember that the best months of the year to do so are October and November. It's important to get the vaccine in your body before the flu virus starts spreading. Where Can I Get A Flu Shot in Charlotte? Getting a flu shot takes just a couple of minutes and is relatively painless, so it's something you'll definitely want to consider doing. Your primary care physician should always be your first phone call for the flu shot. There are places all over Charlotte that offer flu shot clinics, or designated times in which they provide shots. To find one of these clinics visit the Carolinas Center for Medical Excellence's Flu Clinic Finder. To help reduce workplace sickness, many employers now offer flu shots to employees that are covered under their medical plans. Getting a flu shot early can help prevent the flu, but practicing good hand hygiene by washing hands frequently, coughing into your sleeve, and simply staying home if you're sick are all great flu prevention tips. 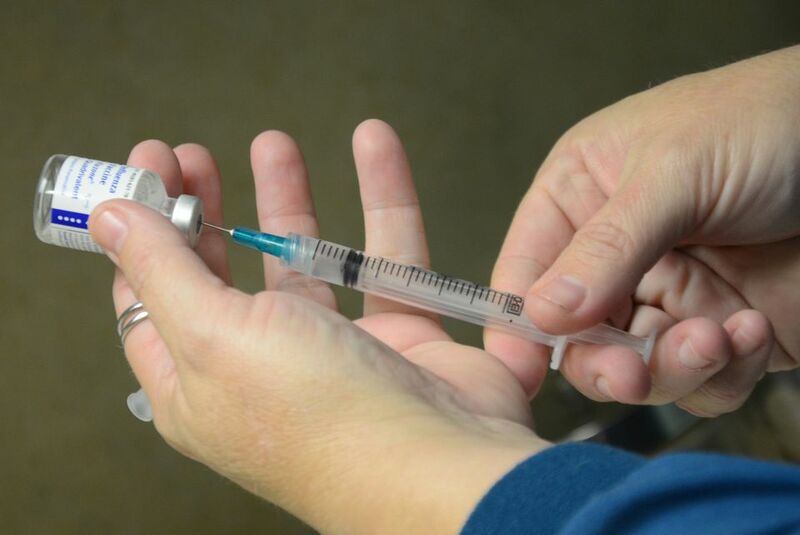 Charlotte area Minute Clinics also provide flu shots to anyone who walks in asking for one. Minute Clinics are located inside CVS Pharmacies and are often open extended hours during flu shot season. Charlotte area Walgreens also offer an In-Store Flu Vaccination Program where visitors will receive flu shots on specified dates by calling your store to schedule an appointment. The Mecklenburg County Health Department provides flu shots by appointment from 8 a.m. - 4 p.m. at both the Southeast Campus (249 Billingsley Rd.) and the Northwest Campus (2845 Beatties Ford Road). To make an appointment, call 704-336-6500. For the county's Flu Information Hotline call 704-366-4667. CMC (Carolinas Medical Center) has an express facility located inside the Harris Teeter in Matthews at 1811 Matthews Township Parkway, Matthews, NC 28105. This facility operates in much the same manner as a minute clinic and provides many of the same services including flu shots.